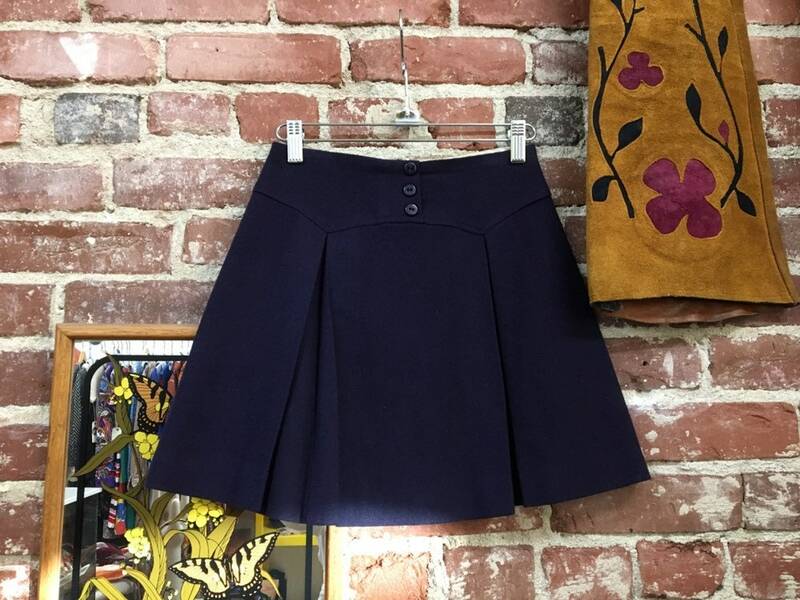 Fantastic seventies mod, a line mini skirt. 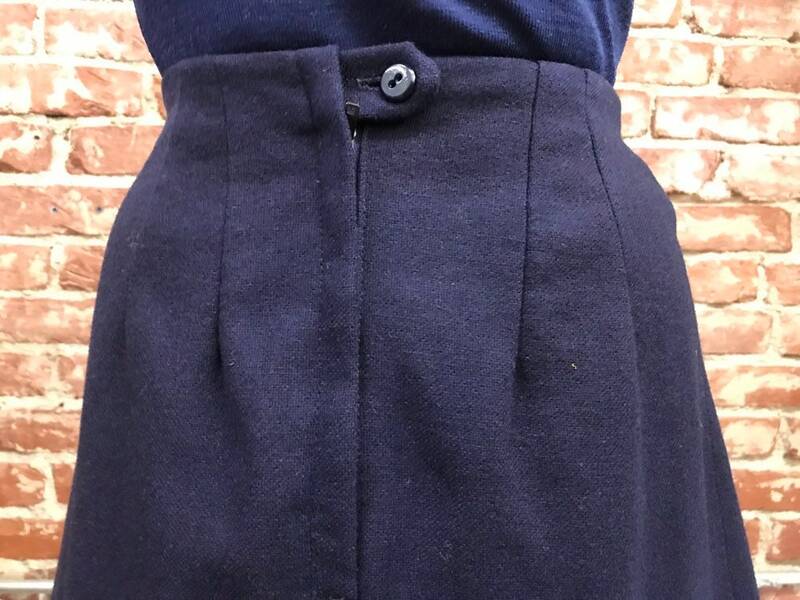 Two pleats at the front. 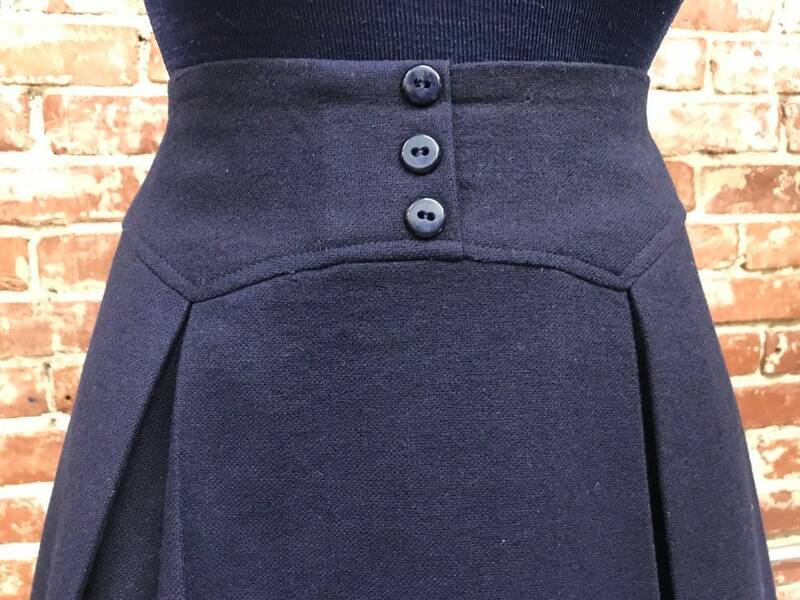 Three button detail at the waist. 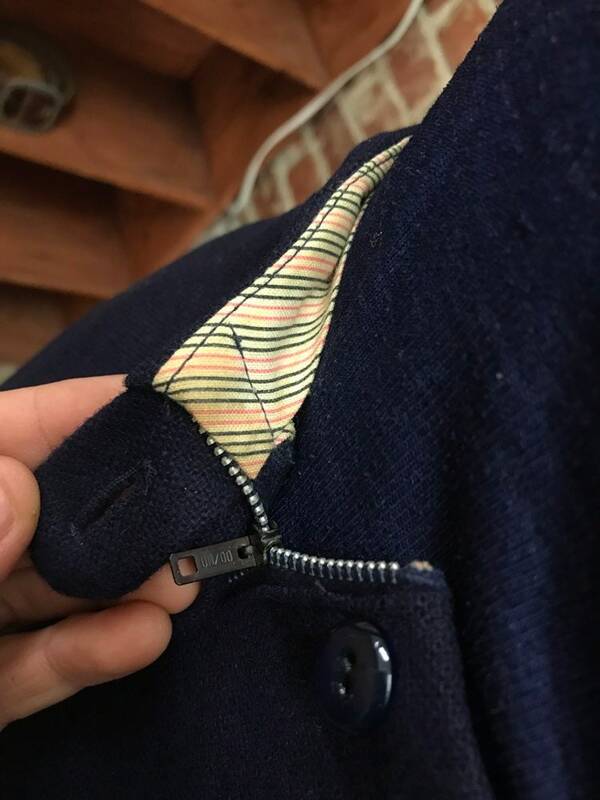 One functional button at the back. The construction is amazing. The cut is perfect. 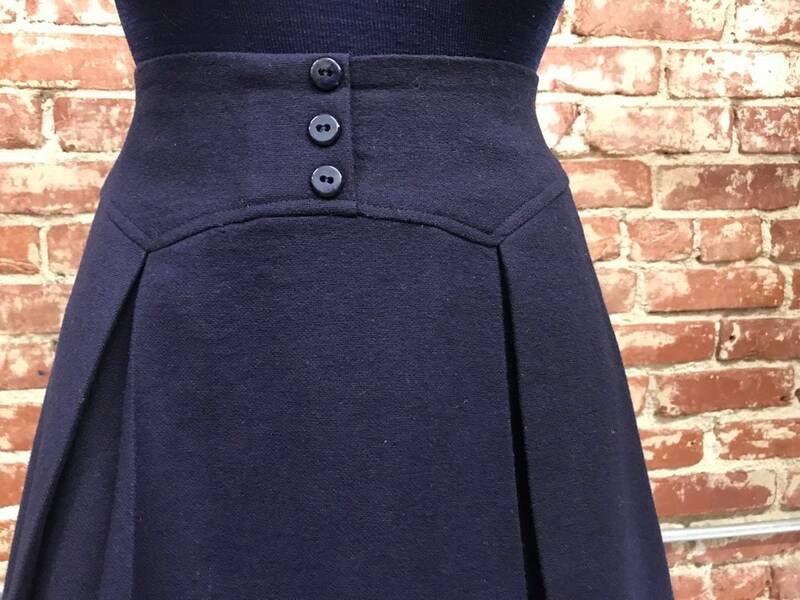 Beautiful navy color. 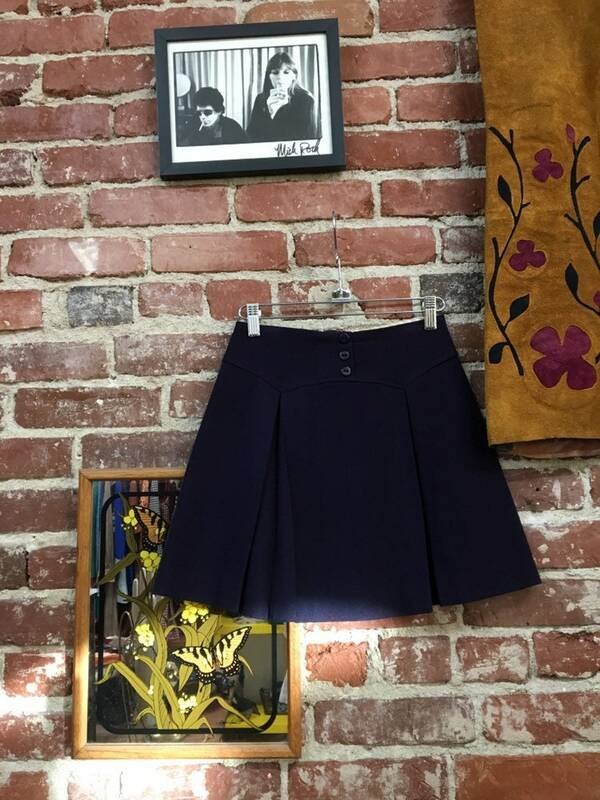 This skirt is a ‘70’s mod classic. The fabric is a tweed acrylic with thin polyester lining inside.